Mandalas are symbols of wholeness and balance. 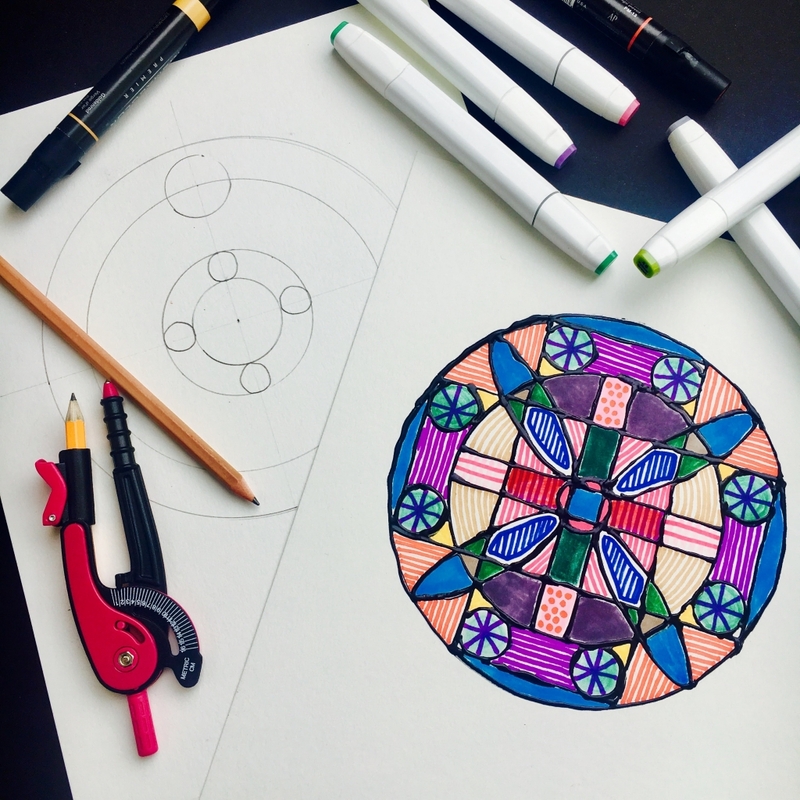 Let’s get together to craft a distinctive colorful mandala design from scratch using rulers, pens, and color pencils and markers. During this workshop, you will learn the meanings of mandalas, explore their unique features, and create one that reflects your inner beauty and creativity. Martina Sestakova, artisan and textile designer, will take you on a journey to express your creative skills. By the end of the workshop, you’ll have completed a unique mandala reflecting your positive energy. No experience necessary and all materials are provided..